Yellow Volkswagen late bay window T2b delivery van/panel van, with added louvered window behind the driver on the left side. 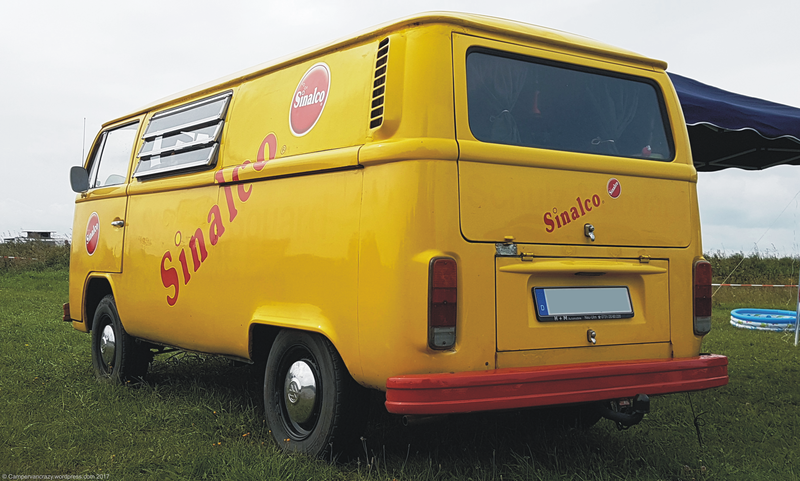 Advertising Sinalco (limonade) red on yellow on all sides. View onto back and left side.